I love reading your blog as it feels authentic and balanced. I applaud all the women and men working to enable more female participation both as voters and elected council members. I look forward to updates and a big shukran for your posts. Great update, good that council getting better. next thing will be assuring that municipal council to havea real say on allocations of investments and municipal development. This is almodt entirely done by line ministries today. Great post, I was actually waiting for a report from you because I know it’s going to be a balanced and insightful one. 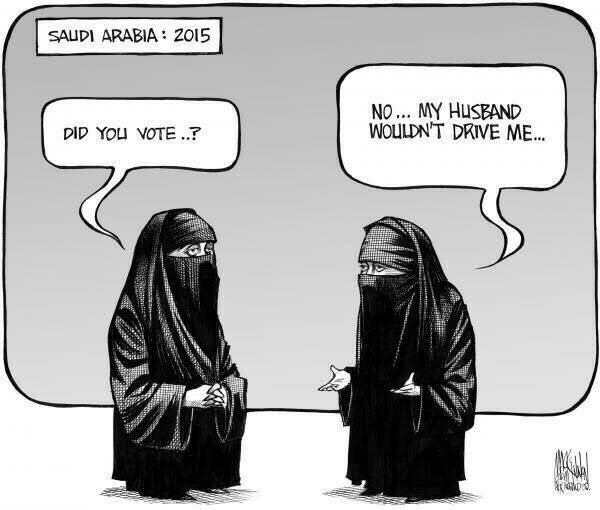 A start it is, but ought to be utilized by all Saudi women and men so the system and its advocates (in and outside of the country) won’t use lack of participation as evidence of not only Saudi women’s and men’ apathy, but to tell the world that Saudis are content with things the way they are, and some are. For more analysis of the elections, please visit: http://www.cdhr.info. Thank you for the overview and the insights. I agree that holding elections and exercising the right to run for office and to vote in this instance is important not only for these elections but for building future ones. what a shame- muslim women who have almost everything they could want, still want to live like non muslim women and they are trying to even use deen to justify their actions. The reason Muslim societies are among the least advanced in the world is because Muslim women have been forcefully denied their natural and human rights to explore their potentials and apply them to build better, healthier, tolerant and creative societies, like non-Muslim women do. u speak like a kaafir.